The Museum of the History of the Jews has scheduled several visits that will allow visitors to discover the rich heritage of medieval Jewish Girona. The Jewish quarter: During the tour you'll learn about some main characters of the Medieval Jewish community and the evolution of this neighborhood until the expulsion of 1492. The natural pantry of the Jewish Quarter: From the courtyards of the Jewish quarter to the gardens outside the walls, the city offers a large and unexpected variety of edible and aromatic plants that are already mentioned in the Bible. At every stop of the walk we'll find a plant with a very old cooking tradition and we'll see how recipes still exist in modern Jewish life and learn how to use them. Troba d'Or: Musical Itinerary through the gardens of the Jewish Quarter. A walk with notes of Sephardic songs and pieces of medieval troubadours with a beautiful new interpretation. 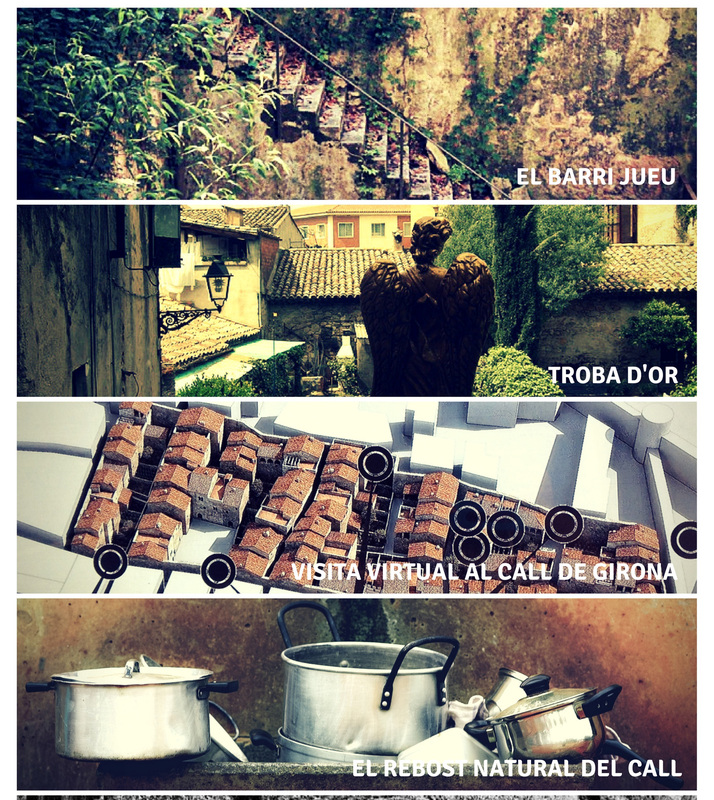 Virtual visit to the Jewish quarter of Girona: A self-guided tour of the jewish quarter. Maps, chronogram and texts to discover interactively the physical and urban space of the medieval Jewish quarter of Girona, and to know its most important buildings.